Hi all been lurking for a while now, signed up a while back, but never posted. Anyway wanted to say thank you Vladimir. This is something I've been looking for since I got interested in space, I've been sharing this program with anyone interested in space and they love it, and I hope the updates never stop! New guy here. You may recognize me from other forums or games. If you don't, I'm a dedicated gamer, but also a space aficionado. I found this program while searching for space simulators, and this seemed very visually appealing. Welcome to the forums, shinyarceus4. Also FYI, you should post screenshots like that in the Image Dump thread. 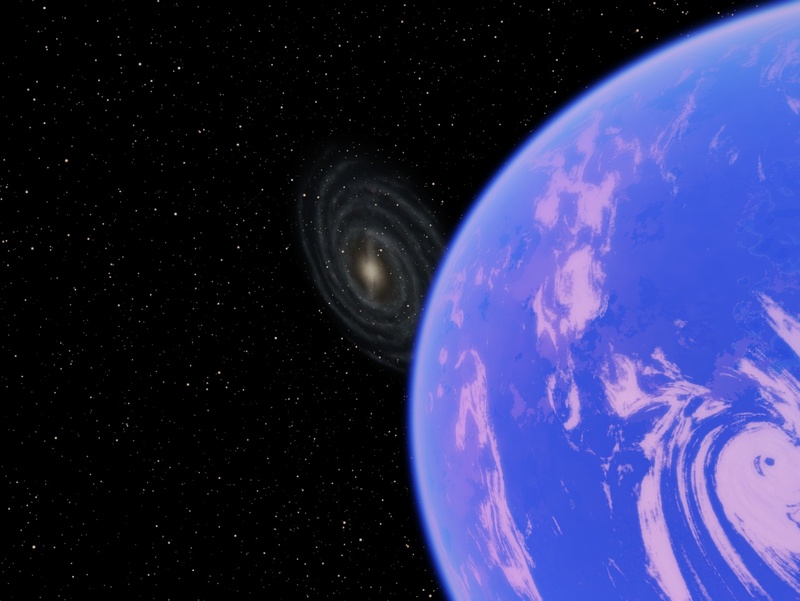 Hi, have been playing with Space Engine 0.9.6.2 the last few days, it is very very cool! It's pretty much consumed my Easter long weekend! I'm not sure where exactly to post feature requests, looks like some of these have been discussed before. Perhaps I can get some advice? * networked multi-machine camera synchronization - for creating immersive (wrap-around) vistas using a set of PC's ala Liquid Galaxy. I see this is on the TODO. I can provide information on how Liquid Galaxy and Worldwide Telescope implement this. It'd be very cool to have a level of inter-operability between some of the applications we have running already on Liquid Galaxy and Space Engine. * new controllers - 3DConnexion Space Navigator, XBox GamePad, Joysticks. The SpaceNavigator 3-axis controller is absolutely fantastic with Google Earth and 3d virtual world engines. I may be able to organise a donation of a SpaceNavigator to the SE developers? Microsoft WWT has an excellent GamePad control interface. Both of these are good reference implementations for SE developers to check out. * using Google Earth as a 'planet view controller'. Google Earth can UDP broadcast it's camera location. SE could respond to this and slave it's camera from Google Earth when viewing Earth, Mars, Moon. Also vice-versa, SE could broadcast the appropriately formatted UDP packet and Google Earth would then follow Space Engine. Obviously only useful for planet Earth, Mars and the Moon. * Google Earth 7 Beta has experimental GL shaders (check Tools -> Options) that are based on the Proland ones. This means GE now looks very similar to SE! I can post some screenshots. Hello, I'm new here and this is great. 4 years ago I was playing a lot with Celestia, even created some systems of my own (including actually making two terrestrial planet maps - it took me a lot of time matching together various parts of Earth surface), but then I stopped, because I didn't have that much time. I had lots of ideas how to improve it and what it would need, I even considered the idea of creating maps in cubic projection to minimise the distortion! Now that I have recovered some old files, nostalgia hit me and googling took me here. I must say that SpaceEngine is a lot like how I imagined Celestia should be. However, I miss the old simple interface It will take me some time to get used to it. I too was a Celestia user before finding SE, and getting used to the interface took a while (though it was a bit more minimal at the time). However, the next versions of Celestia were planned to have a much more complete qt4-based interface than what we all used. The most difficult thing to adapt to for me was switching from drag/zoom as the main method for moving around to WASD, and having mousewheel be for speed change. But it's a much more powerful system once you get used to it. Also, the next version will make it easier to move the camera in and out Celestia-style, which is great. Thanks for your work, go on !!!! (Sorry for my bad English). My name is Lucas, and I am a prospective author from Sweden. I must admit I have fallen in love with Space Engine, although I would like to be able to go skating on Titan, and maybe even place out buildings where I can build a home on several of the planets. I've downloaded SE a while ago when it was 0.95... yesterday, I updated to 0.97. I opened it up and started flying around... and I couldn't close my mouth for while. SpaceEngine is definately the most interesting space sim I've played. The only issue is that my graphics card just isn't powerful enough to support the maximum settings right now. From what I've seen from other people, I only barely scratched the surface of what SE is capable of doing. Can't wait to update my graphics card already just for this gem! I'm a new member to this forum and to this wonderful community! I've been reading and dreaming on the procedural generation of universes since longtime, and then i stepped onto SE. I can't say how just admirative i am toward SpaceEngineer and the current status of this work. Thanks SpaceEngineer for giving us the gift of feeling inside I.Asimov's "Far Star"
Welcome to the forum NavigatorOfSkyes, please take a minute to read the forum rules. I agree, the huge number of systems and wonderful graphics can make you feel as though you are in a sci-fi novel. Hello! i am new to this forum but i know i will have a lot of fun exploring these forums and exploring space and This game is amazing! Hey guys, I'm new! I already made one post, but that was a suggestion for some things that I thought would be cool and feasible with Space Engine. I'm a fan of heavy metal (especially the spacy stuff like Esoteric) and I raise praying mantises. I can't get over how awesome Space Engine is. It has its quirks (sometimes I get spiky terrain or sparks flying, but that's from really tinkering with the settings a lot), but I can't get over how fast I picked it up. And I'm getting better at better at customizing worlds and making them realistic that I go back and redo the old ones. I'll have some images for the Image Dump later after I go watch The Big Bang Theory!